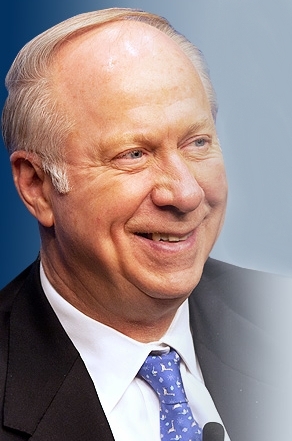 David Gergen: (Wikipedia) An American political commentator and former presidential advisor who served during the administrations of Richard Nixon, Gerald Ford, Ronald Reagan, and Bill Clinton. He is currently a Senior Political Analyst for CNN and a Professor of Public Service and Co-Director of the Center for Public Leadership at the Harvard Kennedy School. Gergen is also the former Editor-at-Large of U.S. News and World Report and a contributor to CNN.com and Parade Magazine. He has twice been a member of election coverage teams that won Peabody awards—in 1988 with MacNeil-Lehrerand in 2008 with CNN. I would like to depart from the tradition of showering you with personal advice. Instead, at the risk of offending some of you, I want to talk about the deepening concerns that I and many others have about the future of North Carolina, our beloved state. Repeatedly in recent years, and especially in recent months, forces of political extremism have asserted themselves here, representing a sharp break from our past. After decades of struggle to become a just and fair people, we are sliding backwards. We are not only damaging our reputation but putting our fellow citizens at risk. Enough is enough. For those of us who have stayed on the sidelines, it is time to stand up and be counted. It is time to raise our voices against this darkness. Indeed, it is time for fellow citizens of all stripes – white and black; young and old; native and newcomer; men, women and people of chosen gender — everyone — to join forces and preserve the best of who we are as a people. Rhonda's Note: The area of Virginia that I came from bordered North Carolina. I always saw North Carolina as a progressive southern state. One that I would have proud to call home, as I did my native Virginia. North Carolina has ventured into an area that does no one well. Mr. Gergen's address highlights reason and sound thinking. When we think all logic is lost, listen and take heart.